Start your own online radio streaming station. For over 10 years our SHOUTcast radio streaming servers have aimed to offer the best for our United Kingdom and International internet radio clients, and that means an affordable SHOUTcast Web Hosting Server! Here you will find our range of SHOUTcast DNAS version 2 radio plans featuring Centova cast, the worlds most advanced Internet radio streaming control panel. Create and manage your own web radio station with ease, or automate a stream hosting business with hundreds or thousands of clients. 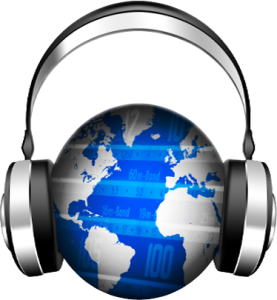 Shoutcast hosting enables your listeners to tune in through any supported media player including Winamp, iTunes, RealPlayer etc. CentovaCast will handle virtually any webcast stream scenario you can imagine. Centova Cast is now also a self-contained application that provides its very own web and FTP services. Centova Cast v3.0 bundles Muses, an excellent free Flash-based SHOUTcast stream player. Muses is made available on the start page of every SHOUTcast-based stream created by Centova Cast. The Windows Media Player is embedded in the start page if you choose to enable it. Your station will also get a free listing on shoutcast.com and then syndicated out to other internet radio directories. SHOUTcast reseller hosting plans are also available. This new release brings a brand new, glossy user interface with plenty of animations and effects, which we hope will be easier on the eyes and more intuitive for you our clients. Plus a unique start page for your internet radio stream showing “now playing” info, listener location mapping and recent tracks. A listener song request form is also available. The statistics system has been completely redesigned using AJAX to improve responsiveness and interactivity. Additionally, statistics are now displayed in the client’s selected time zone, and are no longer limited to 60 days of history. Historical statistics can also be downloaded as spreadsheets. Tune in from your own website! We provide the html code to embed on your website to create a SHOUTcast Player which displays a set of icons for a variety of popular media formats. Clicking on an icon will launch the visitors default player for the selected media format. Visitors can use the web player to tune in to your radio stream without leaving your web site, and without using an external media player. Also from your website you can choose to enable song requests. Two options are available, the request can be emailed to the stream administrator for manual review and processing, or the request can be processed automatically. In this case, the artist and song title are compared against the tracks in your media library. If a matching track is found, the track can be queued for playback automatically. Are you in need of a website or a domain name? check out our web hosting deals.